Drinkbox Studios is teaming up with Leadman Games on a special package for Switch. 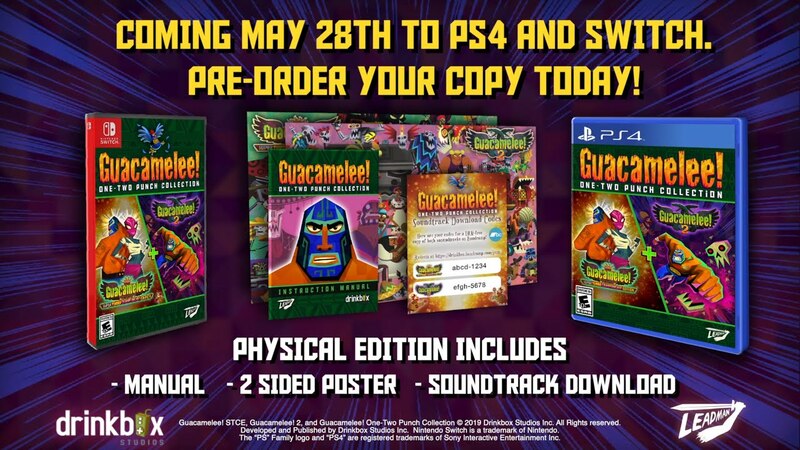 The two sides today unveiled the Guacamelee! One-Two Punch Collection, a physical bundle of both games in the series. Also included is a manual, a double-sided poster, and download codes for the soundtracks. Guacamelee! One-Two Punch Collection launches May 28 for $39.99. We have a video promoting the release below.